Are you Organising a Conference / Workshop? Are you attending a conference / workshop which you will like to recommend to your colleagues? 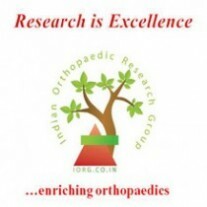 IORG Offers a platform where this information can be shared with more than ten thousand orthopaedic surgeons both in India and globally. Please use the form below to fill in details of your conference / Workshop. This detail will be used to to create a page on our website and will also be included in our monthly newsletter and will be circulated to more than 10,000 orthopaedic surgeons.